So you want to study global health? Good for you – it’s a great subject! But what is global health? Take a look at this lovely 3 minute video produced by Thammasat University, Bangkok, which gives you an idea of some of the issues you might explore and some of the values that underpin global health. There are plenty of good beach reads that will give you a flavour of the issues you will be dealing with on a global health program. For example, borrow a copy of le Carre’s The Constant Gardener, Buckley’s Thank You for Smoking, or Smith’s Epic Measure (a biography of Disability Adjusted Life Year pioneer Christopher Murray). Or try another Smith’s (Zadie this time) White Teeth, Steinberg’s Three Letter Plague, or Klein’s This Changes Everything. These books give you issue-specific entry points into global health: the global pharmaceutical industry, non-communicable diseases, the global burden of disease, migration, communicable diseases, climate change, etc. 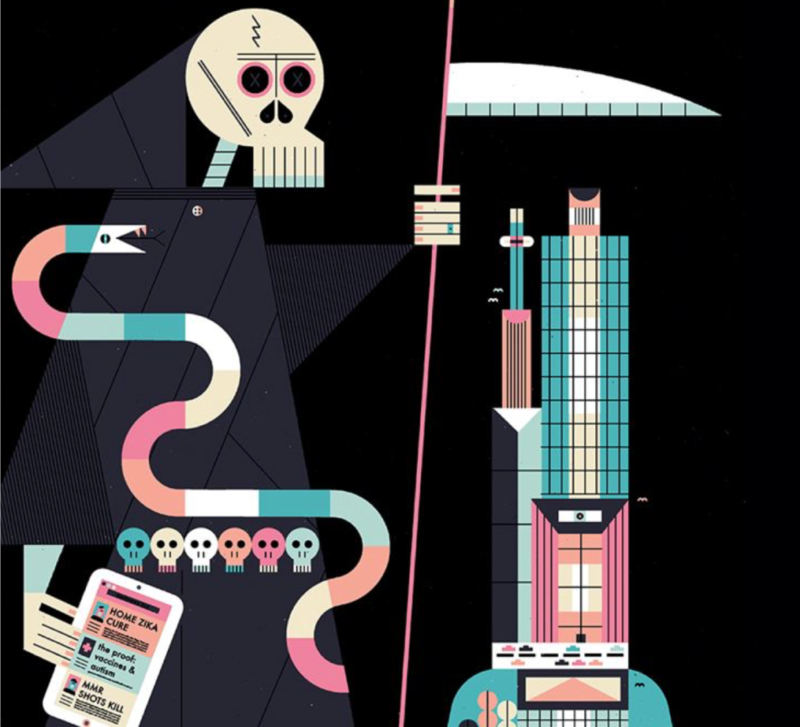 If you’re looking for an overview of lots of different global health topics, you should get hold of a copy of Global Health Watch: An Alternative World Health Report, vol 5 published by a consortium of civil society groups from around the world. The point to bear in mind is that when you study global health, you won’t be studying just one subject. Take a look at the module overview of the program that I co-coordinate at Queen Mary’s with my colleagues Dr Megan Clinch and Dr Adrienne Milner. In the first year, you get to study politics, economics, epidemiology, society, medicine, and the social determinants of health. In year two, you explore some broad health themes (communicable and non-communicable diseases, maternal health and child nutrition, for example). And in year three, there’s an opportunity to specialise in health systems, climate change, contemporary health issues, and you’ll write an extended essay. You can watch/listen to me talking about Queen Mary’s Global Health undergraduate degree on the University’s ADEPT website. Having decided that you want to study global health, where do you go to study it? There are currently two universities in England that offer a three year undergraduate degree: Queen Mary’s University and King’s College, London. 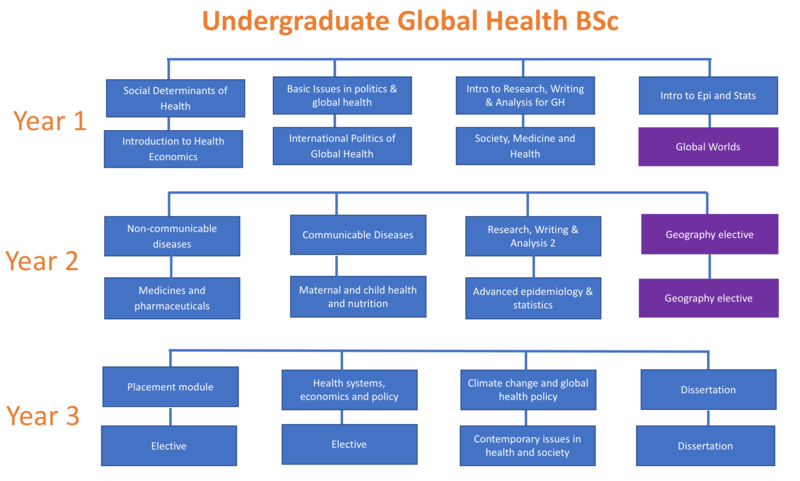 Plenty of universities offer a single year intercalated degree for medical students, and a similar number offer global health as a post-graduate MSc or MPH degree. You can find out about Queen Mary’s MSc Global Public Health and Policy here. Increasingly, universities are offering post-graduate global health programs via distance learning. This should be a significantly cheaper option as the overheads for a university are much less. It is cheaper, sure, but not as much as you might expect. However, and I’m writing as someone who has a BA from The Open University, distance learning can be a very rewarding experience, and it allows you to work while you learn. Queen Mary’s University rolled out its new distance learning MSc in Global Public Health this year, led by a couple of cool academics – Dr Jennifer Randall and Dr Kevin Deane. Check it out! Global health offers a lens through which to view the inner workings of the world. If you want to know whether, by how much, and why the global population is healthy, then I have a good feeling that global health is the subject for you.